Barrier Group Pty Ltd presents the Lok-up, a collapsible steel parking and vehicle access barrier that locks in the up as well as down positions. 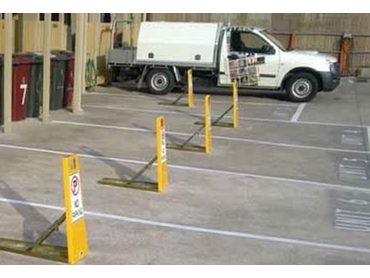 Featuring a steel construction and large footprint for maximum strength and durability, Lok-up can be ideally used as No Parking and No Entry carpark space protectors. The minimum closed height of 35mm opens up to a working height of 750mm. The vehicle access barriers also feature a large reflective sign face and safety yellow powder coated finish to provide maximum visibility day or night.